You know how bloggers complain about the reprehensible comments that they sometimes get? Well, sometimes, we get really nice ones. 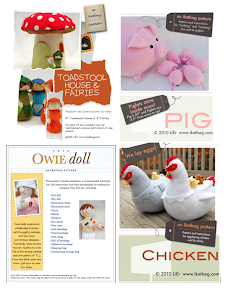 Like recently, quite a few people have said they enjoy reading about how "real" our lives are here at chez ikatbag. Or how "honest" I seem about parenting. If that translates to "She can't hold it together because the children are exhibiting manic craft obsessions on a regular basis", then yeah, I guess we're kinda real. I try to be transparent on this blog. I try. At the same time, I am also aware that this is the internet, afterall, and anything that happens on the internet stays on the internet. Forever. So much as I'm happy to share with you how woefully human I am as a parent and crafter and person in general, I daren't overdo it and inadvertently portray my innocent family as unluckily related to this Madam Has-A-Few-Screws-Loose-And-Then-Some. That said, if you and I ever are fortunate enough to meet in person for tea and scones (and after I've frisked you for hidden wires and recording devices and mini smart-cameras installed in your fingernails), rest assured that you can ask me anything you like -within reason- and I will be totally candid. Speaking of candid, here follows a (sort of) transcript of a true account that took place today in our house. Bit of background: Emily's birthday party is coming up and we're working on the uh... props, some of which were ordered from Oriental Trading Company. Beside herself with excitement, Emily has been watching the post for a few days now for that package to arrive. 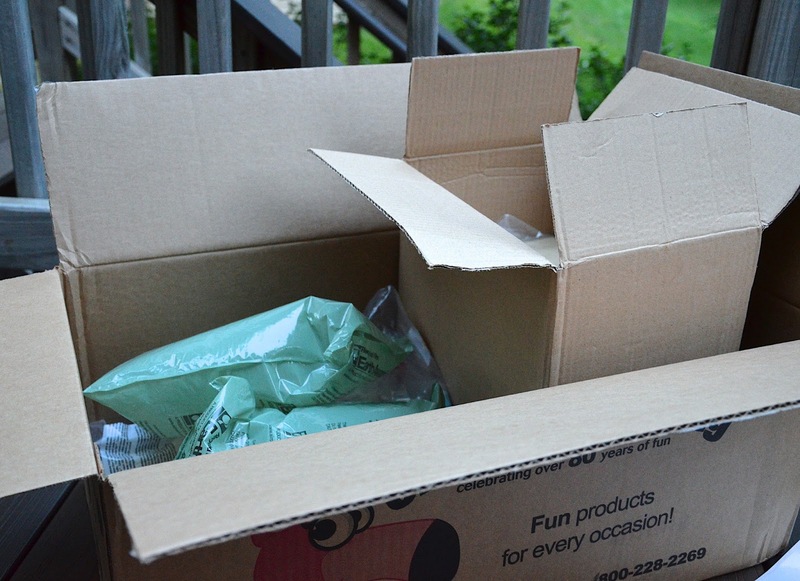 This morning, we returned from a back-to-school visit to find a big box on our front doorstep. Me: Hey, girls! I think The Box came! Emily: Yay! Can I open it? It's my birthday party stuff! I get to open it! M: Move aside and let me get up the stairs! Move! M: What do you mean, Kate? What's your favorite? K: It's a cardboard box! M: Ah. Of course. Emily, what are you doing? M: Grr. Use scissors. Here, let me cut it open. [Scuffling while I slit the packing tape]. Jenna: What is that green thing? M: Air pillows. Looks like a snake, doesn't it? E: What's all this? 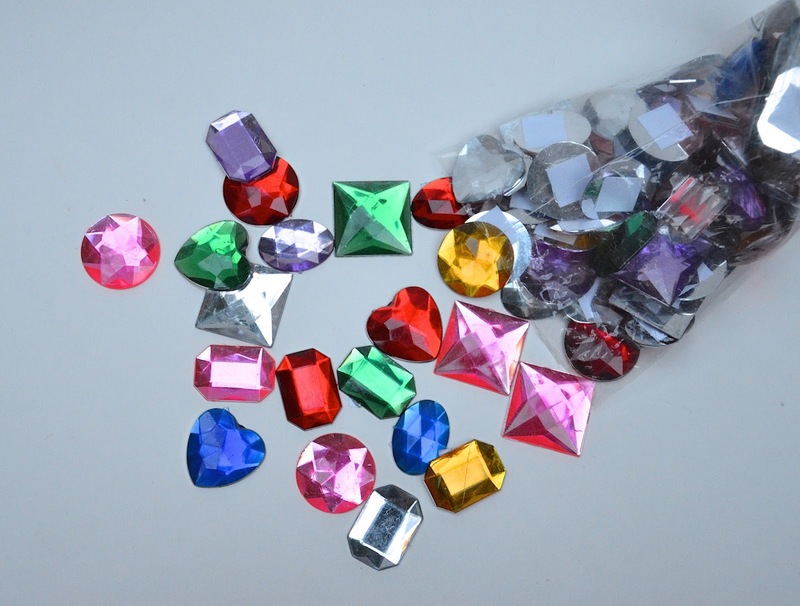 More gems? M: We've run out so I bought more for the party. E: And are these the sand things? They're colorful! 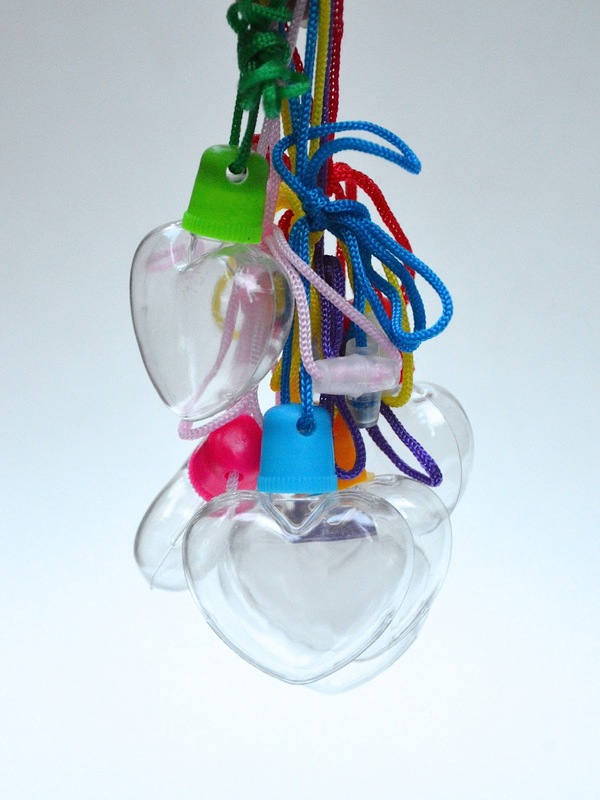 [Takes scissors and slits open the package before I can stop her] They look like squeakers! M: Aren't they better than the kind with the rubber stoppers? See- people can unscrew the tops more easily, right? J: What does the sand do, again? M: Um... it's to revive... Kate! What are you doing with that? K: [at the fridge's water dispenser, trying to fill the sand container with water to drink from]. M: No! You can't, Kate! It'll get all wet and gross! E: What's that other bag? Why are you hiding it behind your back? M: Nothing. It's uh... for another ... thing. E: Can I see? What are they? Why can't we see them? M: Fine! They're other sand art things. I bought them because they were cute. We're not using them for the party, though. They're too big. Here. E: They're cupcakes! Jenna, look! Cupcakes! J: Cool! Can we fill them? M: Uh, not now. Actually, we need to have lunch because we have to be at the dentist at 2. What time is it now? I should heat the oven up and... did we agree we're having fish for lunch? Kate - Emily and Jenna are having fish. You like fish, right? K: I hate fish! I hate that meal! [Empties out box] Can I have the box? It can be an aeroplane. K: Emily! Get out! It's my box!!! M: Emily, get out. Now what was I saying...? E: [Gets out of box] Are these the treasure chests? Wow! They're better than I thought. I thought they were just cardboard. J: Are we going to decorate them? Can we decorate them? Do we each get one? Can I decorate mine now? M: Sure, but we don't have time now because we have to have lunch first and then go to the dentist. How about after we get home...? 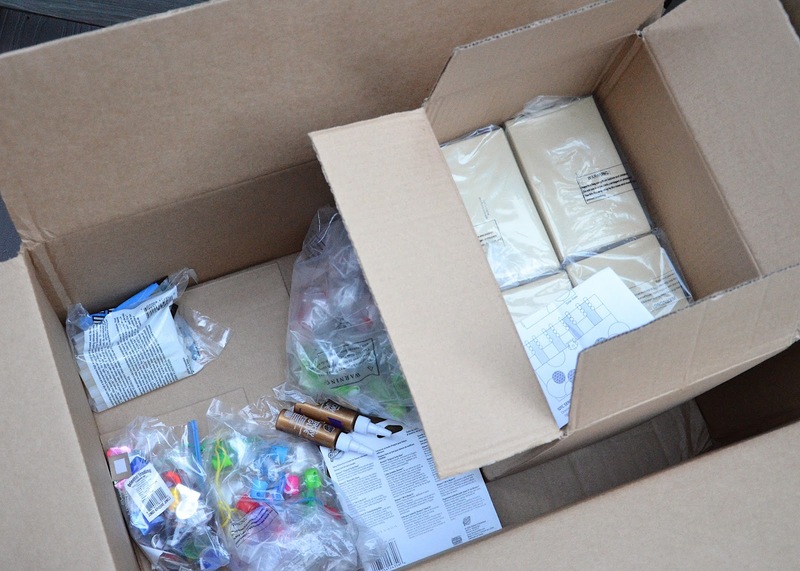 [Jenna has run off with one box and has cut open the little packet of supplies that came with it]. J: I'll just decorate it while waiting for lunch to be ready, Mom. E: They should all look the same, right? So it's fair? M: I suppose. I guess you could um... use different gems and ...wait! Didn't we say we wanted to make each chest match the key so people could pick the right one? J: [Staring at the keyhole-less latch] How does it open with a key? M: It doesn't. Emily just wanted the key to match the chest so we can pretend it does. J: Then why do we need keys? E: I said we could use the jewels and cover the chest with the jewels in the same color... or shape.. as the key! J: Mom! How do I stick this on? M: What? Oh, uh... with glue, I guess. Goodness - what time is it? I need to get the fish from downstairs, girls. What have you got so far, Jenna? Oh, er, the little foam dots go on after the ribbon is stuck on, I think. Are there instructions? What kind of diagram is that? Makes no sense. Wait, I think I have that good glue downstairs, too. No, you know what? I bought glue from Oriental Trading. Tacky glue works, right? Here- [rips package open and hands each kid a bottle]. K: Mom! It doesn't come out! M: What? Oh, you didn't take the cap off, honey. Grr. Oh, you must cut the silly tip off. Where's the scissors? Here - look - a huge hole. The glue will come out now. Hey, Kate, do you need help? 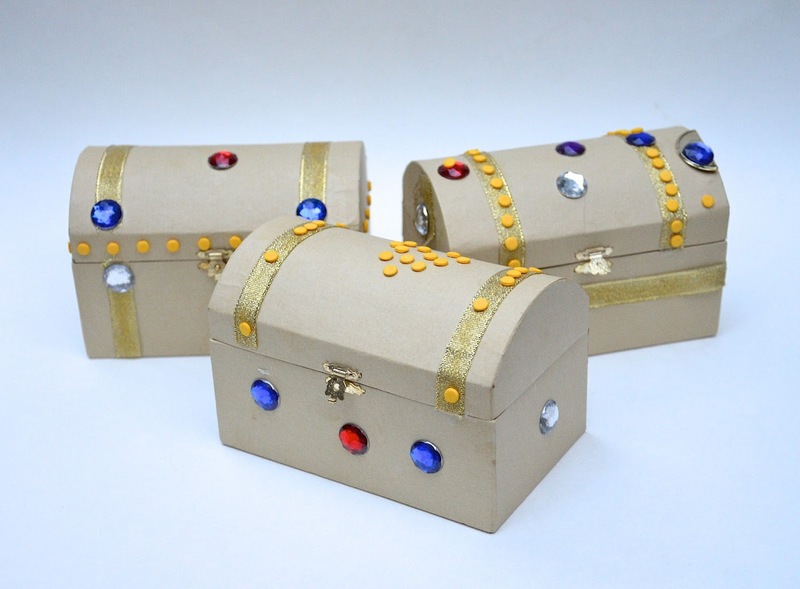 [Next five minutes spent helping Kate glue gold ribbon onto the lid of her treasure chest]. K: It doesn't stay down, Mom! It keeps popping up! M: [under breath] #$@%** kid-friendly glue. Should've just used my UHU. [In normal voice, trying hard to be calm] Look, Kate, it works better when it's a little bit dried up. You have to hold it down with your finger until it dries, okay? J: [close to tears] I squeezed too much. It looks horrible! Why does Kate's look so good and mine is all wrong! E: Don't worry, Jenna. When it dries, you won't see it anymore. J: You CAN see it! It's horrible! I'm starving! M: Er, right. The fish. Okay. I need to turn the oven on now. K: I want to glue the jewels on! J: Take it away! I want to start over! M: Whoa! Okay! Everyone! Stop!!!! Put.The.Glue.Down. All of you. Drop the glue. Put it down. Step away. Nice and easy. Nobody touch the glue. Drop it! M: Look. This is lousy glue, okay? And the ribbon is annoying, too. And see - the ribbon curls in one direction, so if we stick it down with it curling up, it won't stay. Turn it around so it curls down and try again. And you have to hold it down and keep pressing it when it pops up. And what is the time, anyway? What!? I don't believe it! We're going to be late! I haven't made the biscuits. Argh! I hate "kid-friendly" glue. I swear: it's the single most effective way for parents to lose their sanity. Believe it or not, there was a tiny window of time in which I got the oven started and put the fish in and microwaved the corn and everything, while the girls (having passed the wretched glue stage) peeled those little yellow self-adhesive dots and placidly embellished their treasure chests. It was surreal, like the previous 20 minutes of anarchy never happened. And we made it to our dental appointment by the skin of our teeth, incidentally. Had to leave the remnant fish and tartar sauce and biscuit crumbs all over the kitchen table and chairs, along with small puddles of sticky dried lemonade. I sat in the waiting room, concussed on a chair while the dental hygienist came out and summoned whichever of my children held her fancy. When we got home, we went swimming. What else could I do with a day like that? P.S. 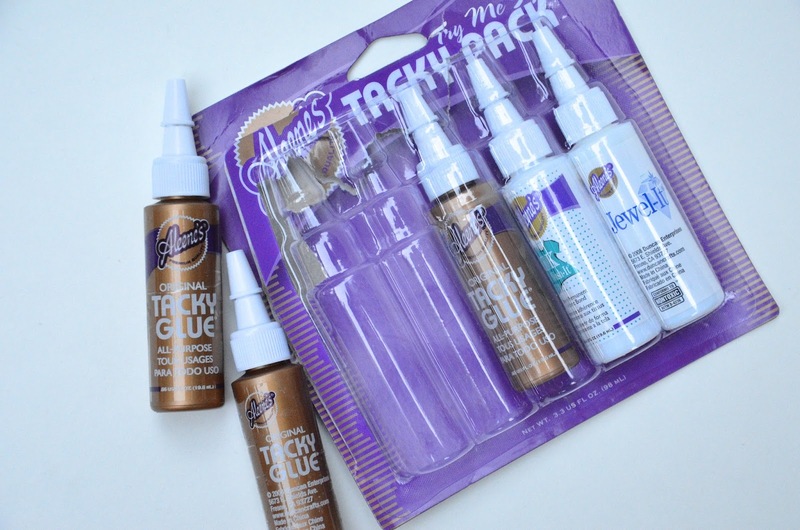 Tacky Glue actually isn't bad. The kids used it to glue the gems to the treasure chests and it worked perfectly. So it was probably just the ribbon that was possessed. Oh gosh LiEr. That would totally do my head in. When we have a special craft activity, I like to wait until we have some calm and quiet and we can all sit down together. I I just can't cope with manic, out of control craftiness when I'm trying to do something like make lunch and rush to an appointment. That said, the little treasure boxes look very cute. Your girls did a lovely job. By the way, I can't believe people would ever be rude or mean to you. How absolutely appalling some people are. By the way, the girls are eating their breakfast and making even more bookmarks today. They love your stripy bookmarks. These ones are supposed to be to give away, as we already have a mountain of them that they insist on keeping. Your house sounds like my house!!! That outdoor pool looks amazing for a party. And the bags are fabulous - love the colors, and the mesh is perfect for swim things! Thanks for this post ! It sounds like my house. I would love to have tea with you, and I swear I would not record anything you say. I have a question for you: how do you store all your and you kids's supplies ? All those gems, cardboard, glue... they are taking over my house. Lier, Thanks for this. If you can manage to cook, clean, manage a house with three kids, and still find time to create truly stunning things. I have no excuse not to wash those three plates in my sink and finish that damn shrit I've been putting off. Those bags are fabulous! I love how you make so many of the same thing but in different colors. 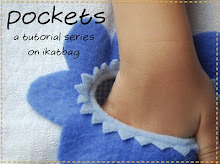 They aren't just 'stuff', but so handy, useful, and fun. Love them! Lol, that sounds exactly like the discussions around our house, and I just have the one daughter. I can't imagine what it's going to be like when we decide to add another. Ahhh.... I remember those kinds of days! :) Congrats on your successes despite it all... lunch, dentist on time, and cute treasure chests! LOVE IT!!!! We have so many of those conversations! Three craft obsessed girls who always start something complex when I'm cooking/washing/madly tidying up or doing something else essential...like trying to have a little Saturday morning sleep in ; ) I love how you somehow, under protest, ended up helping them with it even though you didn't really have time. That happens to me, one minute I'm saying no I can't help, the next minute somehow I'm digging in the craft cupboard for the right equipment/supplies.